COLORADO SPRINGS, Colo. – Eric Ballard (Grand Rapids, Minn.) and Nick Fabbrini (Forest Park, Ill.) have been named assistant coaches of the 2019 U.S. Men’s National University Team, while Brett Berger (Springfield, N.J.) and Scott Hicks (Richmond, Ind.) 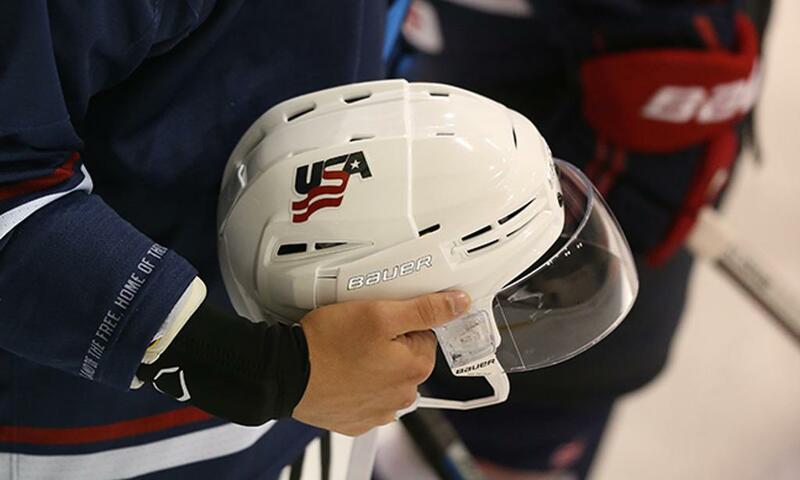 have been tabbed to return as assistant coaches of the 2019 U.S. Women’s National University Team it was announced today by USA Hockey. The teams will compete in the 2019 Winter World University Games from March 2-12 in Krasnoyarsk, Russia. As previously announced, Shelley Looney (Brownstown, Mich.) and Roger Grillo (North Kingstown, R.I.) will serve as head coaches of the women's and men's teams. Ballard is making his debut as a coach at the Winter World University Games in 2019. Head coach of the men's ice hockey team at University of Colorado, Ballard has completed four seasons with the Buffaloes, compiling a 71-53-5 record with three straight American Collegiate Hockey Association national championship appearances. Prior to joining the Buffaloes, Ballard gained experience coaching in the North American Hockey League with the Fresno Monsters and also scouted the NAHL for 11 years. Fabbrini is returning to the men's coaching staff for the second consecutive tournament and is currently in his seventh season as head coach of the men’s hockey team at the University of Illinois after leading his time to an appearance in the 2018 ACHA national championship game. A two-time finalist for the ACHA Coach of the Year Award (2013, 2018) and winner of the 2018 Central States Collegiate Hockey League Coach of the Year Award, Fabbrini also won two national championships as a player with the Illini in 2005 and 2008. Entering his second consecutive tournament with Team USA, Berger is in his fifth full season as head coach of the women’s hockey team at Adrian (Mich.) College after leading the Bulldogs to a regular season and playoff championship in the Central Collegiate Women's Hockey Association in 2018 and winning the ACHA Women's Division 1 Coach of the Year Award in 2017. Berger also guided Adrian to its first ACHA national tournament appearance in 2013-14 and led the Bulldogs to the national championship game last season. Hicks, who is in his eighth season as head coach of the women’s hockey team at Miami University (Ohio), made his Team USA coaching debut alongside Looney as an assistant at the 2015 Winter World University Games. Hicks was named the ACHA Women's Division 1 Coach of the Year in 2014 and 2018 and has led Miami to national championships in 2014, 2016 and 2017. NOTES: The U.S. National University Teams are composed of players who compete collegiately in the American Collegiate Hockey Association... The U.S. Men’s National University Team has competed in the bi-annual tournament since 2001... 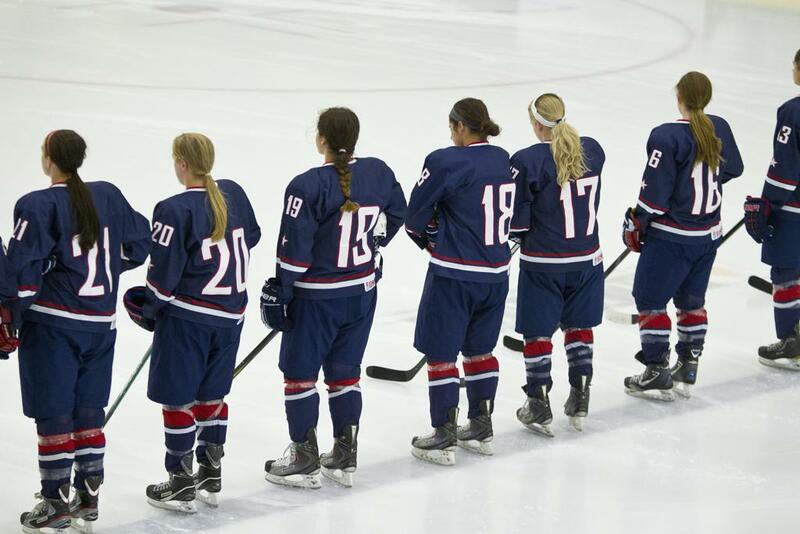 The U.S. Women's National University Team has participated in the tournament since 2011, finishing in the top three in two of the last three tournaments.